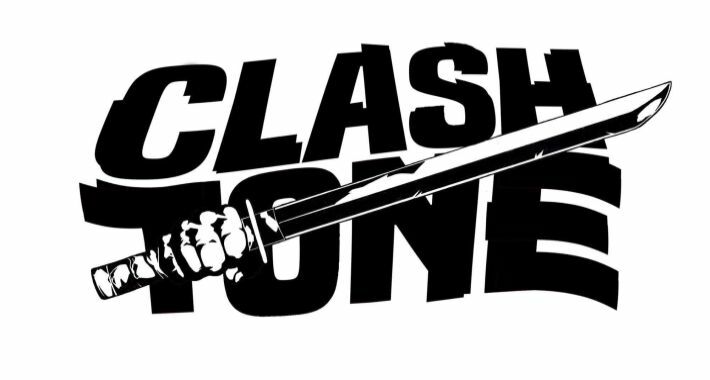 ClashTone are an unexpected yet exciting collaboration developing in bass music in 2019. Comprised of Eatbrain label head Jade, Terror – the London producer formerly of Modestep – and two more obscure yet nonetheless talented producers in their own right, Jolliffe and Mai DaVael, ClashTone clearly aim not only to switch the tempo in multiple genres of bass music but also the way it’s seen from all angles. ClashTone’s first release is a three-track mini EP called Ninja Scroll, releasing on February 4 on Eatbrain. The EP is a mix of hip hop-infused halftime, experimental dubstep and hard-hitting drum & bass. Listening through the EP’s title track, “Shapeshifter” and closer “Faded,” fans of the four producers will be able to note the contributions each of them made. What comes out of each track is something completely different, not only making ClashTone an entity all to its own, but an entity to be reckoned with. “Faded” is the track on Ninja Scrollwhich represents the most stylistic fusion between the four producers in ClashTone. Featuring MC Pastry Maker on the vocals, “Faded” is cinematic and bass-heavy with the sound design and grinding synths of drum & bass. It’s also structured like a dubstep or D&B track, with an intro, builds, breaks and drops which maximize danceability. The intro and breaks are cool, stylized hip hop and really play up Pastry Maker’s vocals. Finally, the tempo is the same as dubstep but the syncopation is flipped on itself so that really the halftime beat is genreless. There’s a lot going on here, and “Faded” is both technically complex and perfect for the dancefloor. It will definitely be popular in the upcoming festival season. Drum & bass fans know that while Eatbrain is primarily a neurofunk label, artists are encouraged to branch out and not limit themselves to one genre. Jade himself has also expressed an interest in making fusion bass music and even in creating beats that defy genres. It seems that ClashTone will be a perfect expression of that dream “clash” of “tones” but really it’s less of a clash than a marriage. In Terror, Jolliffe and Mai DaVael, Jade seems to have found three like-minded artists at the right time and place to help him truly innovate in bass music. Bassheads, get ready for ClashTone. Ninja Scroll drops on February 4 on EatBrain. Check Beatport and the Eatbrain website for purchase and streaming links.